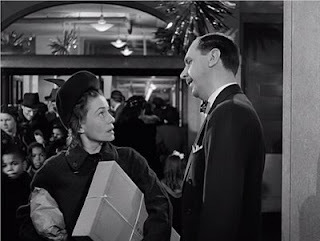 It may be the week after Christmas, but it is not too late for social media professionals to prepare themselves for 2013 by watching the old, classic, holiday film, "Miracle on 34th Street" (the 1947 original, not the inferior 1994 version.) Not only is it a terrific and heartwarming movie, but it also contains lessons about what we are doing wrong in social media and how we can enhance our brands in 2013. "I want to congratulate you and Macy's on this wonderful new stunt you're pulling. Imagine, sending people to other stores... Imagine a big outfit like Macy's putting the spirit of Christmas ahead of the commercial. It's wonderful. I never done much shopping here before but from now on, I'm going to be a regular Macy customer." And there is your social media lesson from the 65-year-old movie: Dedicate your brand to doing what is right for the world and your customers notice, trust more and become loyal. "From now on, I'm going to be regular Macy customer,"
the astonished mom tells the equally astonished Macy's exec. What is vital in this example is not that the department story Santa conveyed content but that he conveyed an honest intent to help the customer. We put too much stock in content nowadays; content strategy is vital in 2013, but too often, our brand content conveys our real selfish intent instead of authentically benefiting others. Consumers are beginning to notice the selfishness of our content, and they are not rewarding it: A recent study by MediaBrix found that 86% of consumers find sponsored video ads that appear as content to be misleading; moreover, 85% indicate that when they come across sponsored video ads that appear to be content, it negatively impacts or has no impact on their perception of the brand being advertised. Many people say "Content is king," but history is littered with kings who were awful and unsuccessful (just like most of our branded content)! "I admit this plan sounds idiotic and impossible. Imagine Macy's Santa Claus sending customers to Gimbels, but gentlemen, you cannot argue with success. Look at this. Telegrams, messages, telephone calls. The governor's wife, the mayor's wife, thankful parents expressing undying gratitude to Macy's. Never in my entire career have I seen such a tremendous and immediate response to a merchandising policy. And I'm positive if we expand our policy we'll expand our results as well. Therefore, from now on, not only will our Santa Claus continue in this manner, but I want every salesperson in this store to do precisely the same thing. If we haven't got exactly what the customer wants, we'll send him where he can get it. No high pressuring and forcing a customer to take something he doesn't really want. We'll be known as the helpful store, the friendly store, the store with a heart, the store that places public service ahead of profits." Havas Media Labs Meaningful Brand Survey found that more than half (51%) of consumers want to reward responsible companies by shopping there; 53% would pay a 10% premium for products from a responsible company. And they want companies involved: 85% of consumers want companies to be engaged on global issues, but only 22% think they’re getting enough. The Forbes Top 100 Brand study found that the top corporate brands "are organizations increasingly known for their charitable giving, sustainability efforts, environmental cleanups, transparent business practices, clearly labeled packaging, respected leaders, ground-breaking innovation. These are benefits that go far beyond the crispness of corn flakes or the cleaning power of laundry detergent." Interbrand's 2012 brand study found that "Consumers are expecting to see not just great products and services from the brands they choose; they also want to feel that the brands they love are, in fact, worthy of that love." Interbrand points to the importance of corporate citizenship, but it tells it clients, "It’s about more than the spend. It’s about the credibility of a company’s culture of citizenship." A 2011 Weber Shandwick study found that 70% of consumers avoid buying a product if they don’t like the company behind the product. And 56% say they "try to buy products made by a company that does good things for the environment or community." The 2012 Edelman Trust Barometer Study found that the attributes that build future trust are "societally focused," including "listening to customer needs, treating employees well, placing customers ahead of profits and having ethical business practices." The report's first recommendation is that organizations "exercise principles-based leadership instead of rules-based strategy." 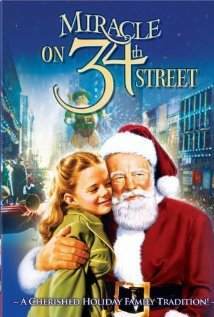 As you plan your social media and content strategies for 2013, think of "Miracle on 34th Street." Are you creating content that truly helps customers and builds trust, or are you creating content to drive traffic but that harms trust? Are you starting your 2013 content calendar by looking at your brand's product release and ad campaign schedule, or are you starting it with an assessment of what will be on customers' minds throughout the year? Are you trying to create relationships and advocates, or are you trying to create sales and customers? In summary, are you being the customer-focused Santa or are you the brand-focused Advertising Department? Surely, you don't doubt Santa, do you? I forgot the story of that classic movie. Thanks for refreshing the plot and turning it into an eye opener for those who are overwhelmed by aggressive competition in the social media. Thanks for the nice comment, Mario. Hope you and your loved ones get 2013 off to a great start!